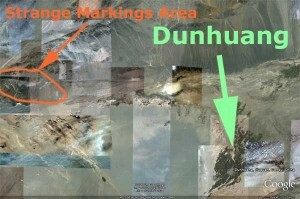 Dunhuang is a city (pop. 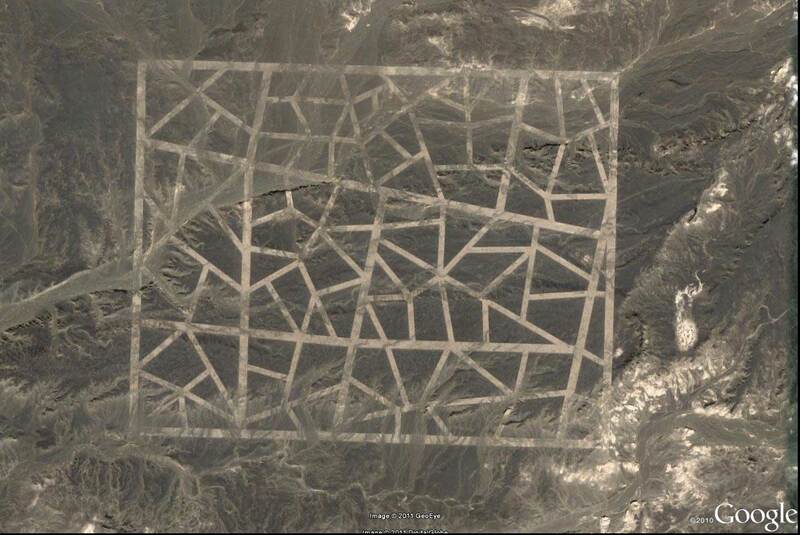 187,578 (2000) in Jiuquan, Gansu province, China. 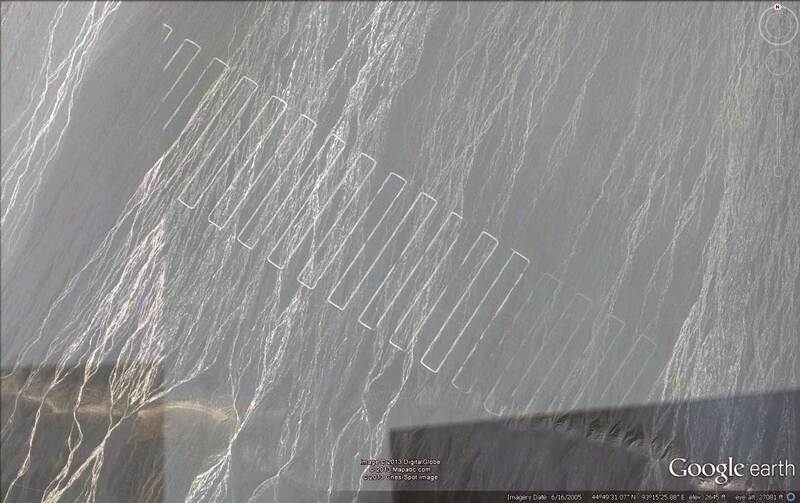 It was a major stop on the ancient Silk Road. 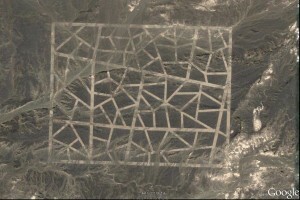 It was also known at times as Shachou, or ‘City of Sands’. 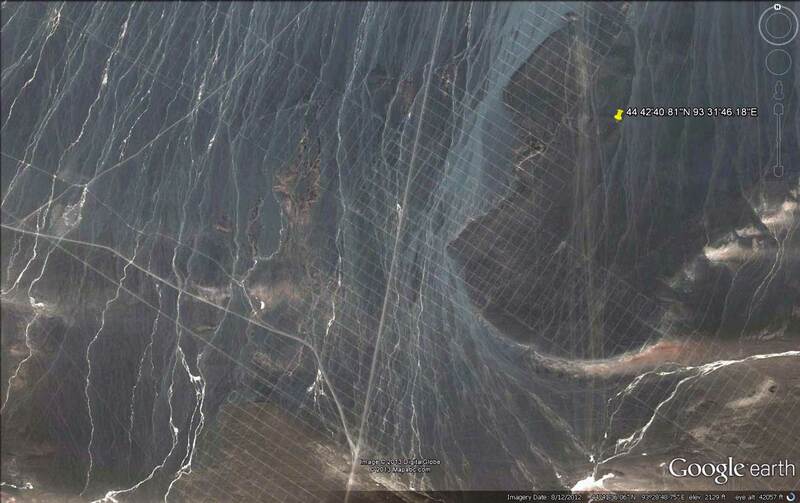 It is situated in a rich oasis containing Crescent Lake and Mingsha Shan, “Echoing-Sand Mountain”. Mingsha Shan is so named for the sound of the wind whipping off the dunes, the singing sand phenomenon. It commands a very strategic position at the crossroads of the ancient Southern Silk Route and the main road leading from India via Lhasa to Mongolia and Southern Siberia, as well as controlling the entrance to the narrow Gansu Corridor which led straight to the heart of the north Chinese plains and the ancient capitals of Chang’an (today known as Xi’an) and Luoyang. 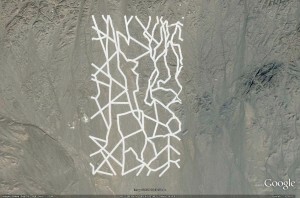 Here are few Google Earth images of the most interesting areas (click on each image to enlarge). 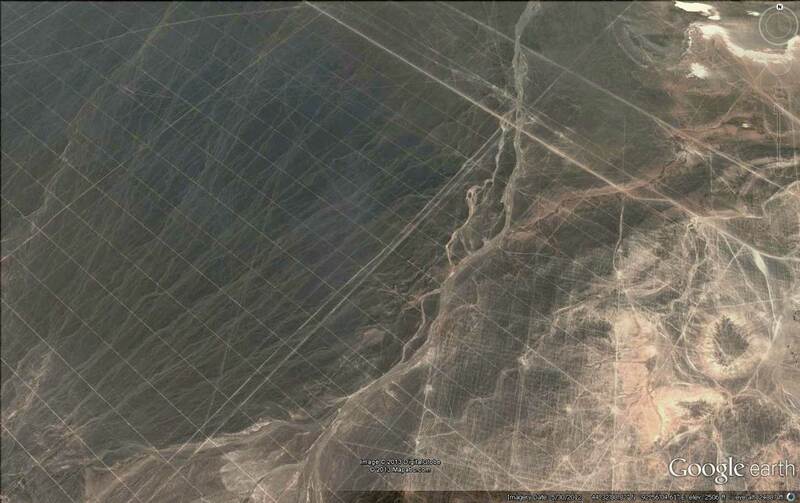 For more photos go to Ancient Airstrip in China? 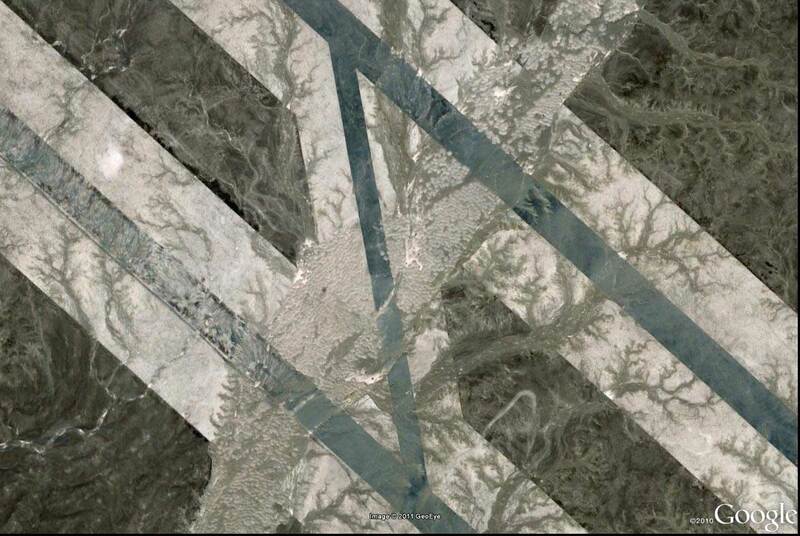 or use Google Earth. Your are invited to send us your comments about this site. 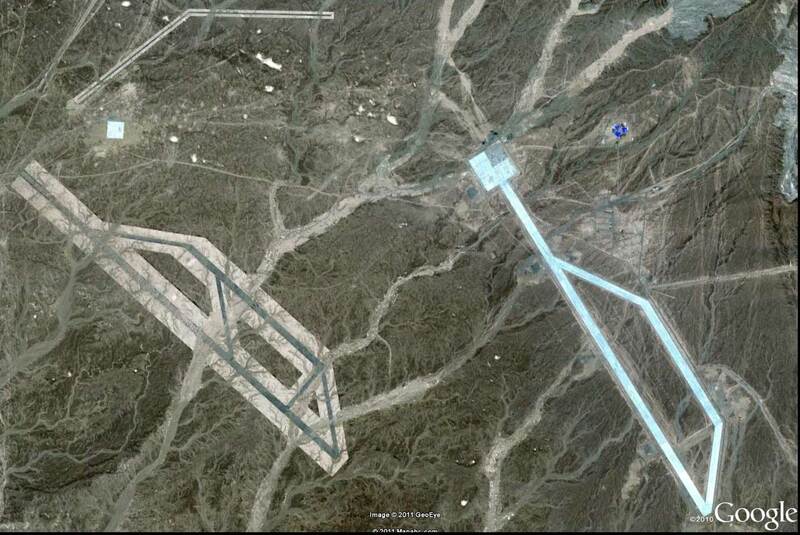 Read the entire article here: Ancient Airstrip in China? 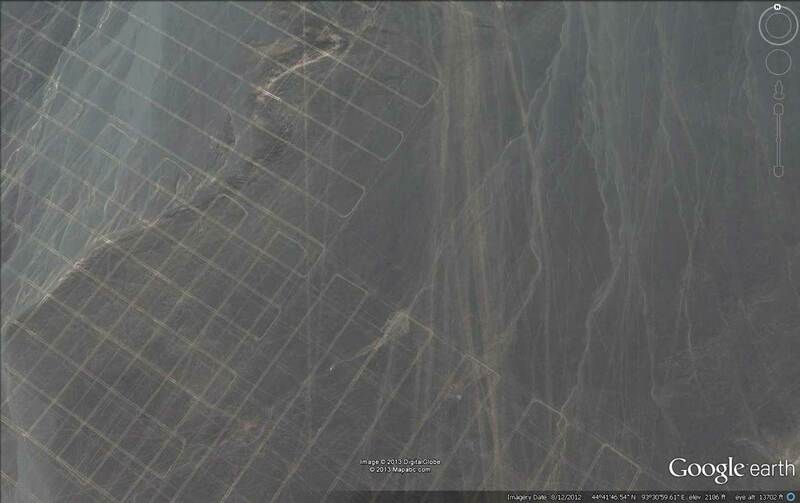 This mysterious “grid” was discovered in China (see Google Earth coordinates on the pictures). 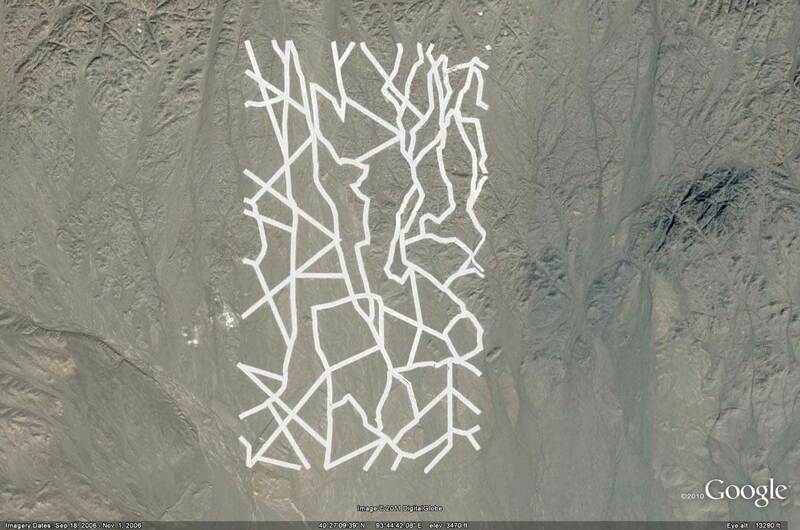 It is 31km x 31 km. When was it made and for what purpose? Detail of the satellite photo above.